The project provided for the construction of a completely underground wing on the north-east side of the main library (Designed by Papaioannou and Fines in 1960). The composition is deployed symmetrically around a cylindrical atrium intersected by the main access route to the interior of the library and a pedestrian walkway running laterally to the old building. 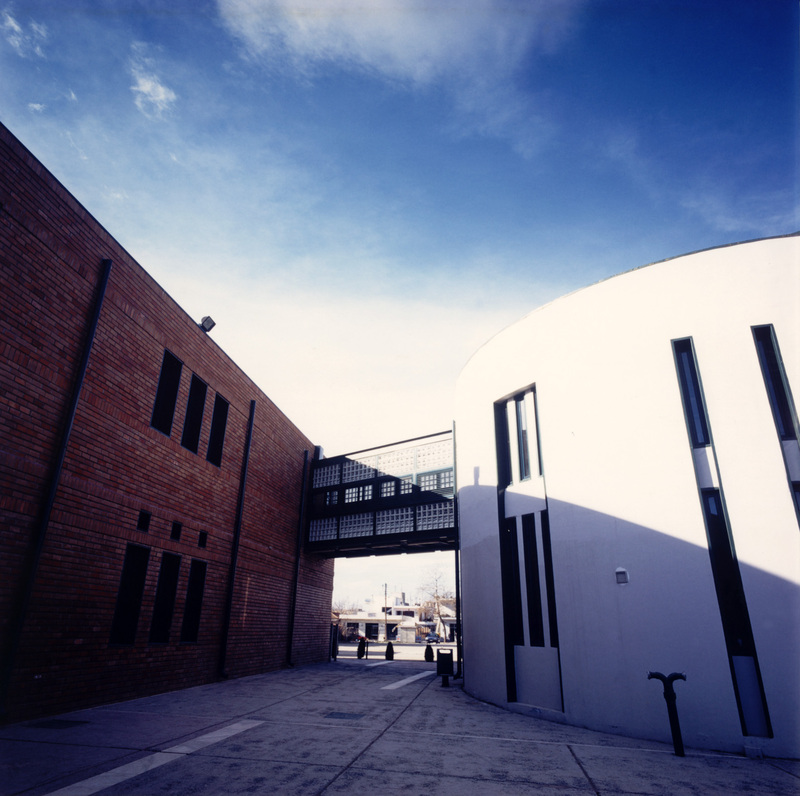 The curving outer wall of the new building and the elevation of the old structure combine to create another pedestrian walkway which is part of the general system of movement around the campus. Constructors: Ι. Sigalas & Sia Α.Τ.Ε., ΑRΧΙΤΕΧ S.A.